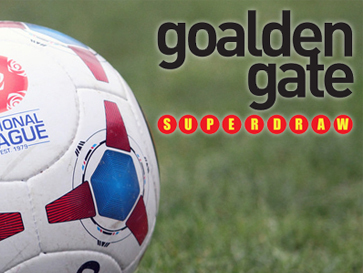 The Goalden Gate Superdraw offers you the chance to win 60 weekly cash prizes whilst raising funds for Bath City FC. where you can win £100. If there are no winners selected that week, the prize will rise by £100 every week until somebody wins. From just £1 per week it’s also a great way to support Bath City FC as with every ticket you buy, Bath City FC will receive 45% of the money. For each £1, you get 10 lucky numbers. The numbers are drawn every Monday and you’ve got a great chance of winning £5, £10, £25, £50, £75, £100, £150 or £1,000!